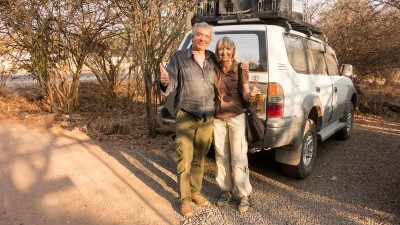 We are a retired couple. 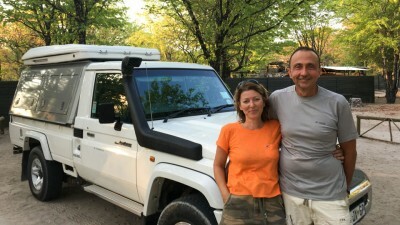 We have alreadey travelled as selfdrivers in Iceland. 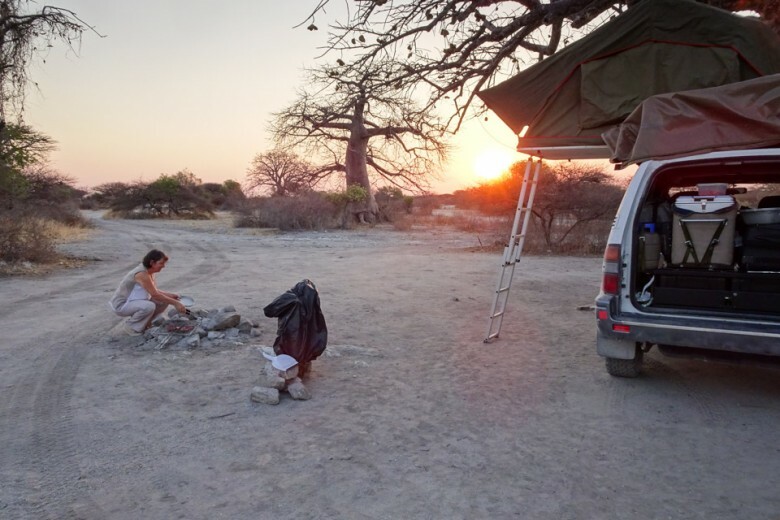 For this new independent trip in Botswana, Tawana has been amazing! First, Julie have prepared the route and added all coordinates on the GPS provided in the 4 × 4. 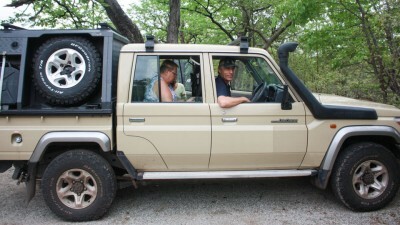 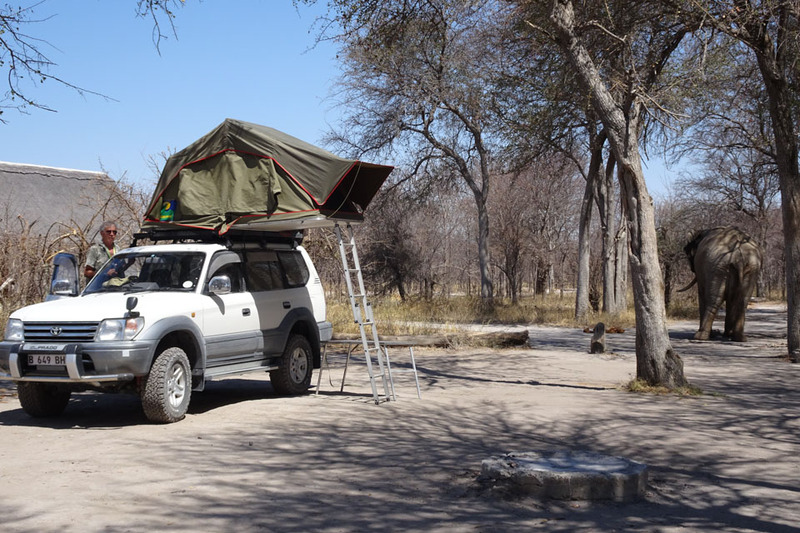 Our campsites were easy to find so no need to be an off-road professional with Tawana !! 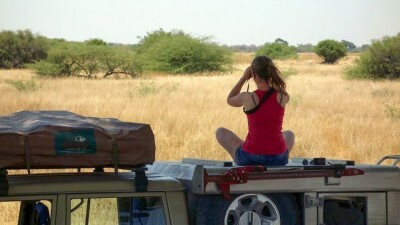 They have suggested excellent places we didn’t see on our guide books. 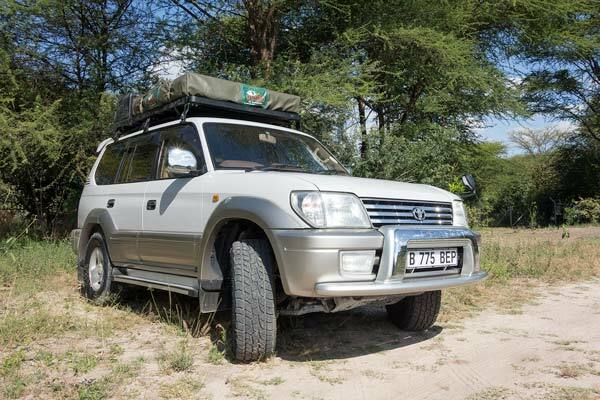 The vehicle was high-quality compared to other rental vehicles that we met during our journey. 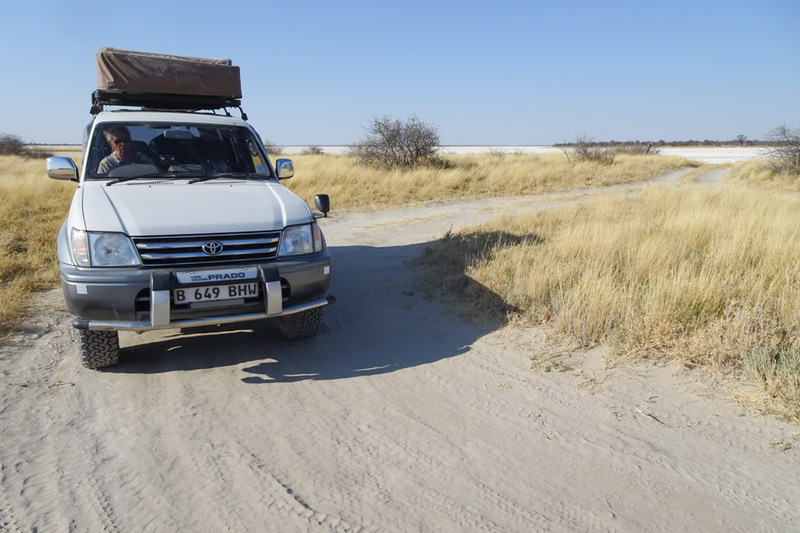 We were afraid of getting stuck in the sand, but despite the long, deep sand tracks we drove, we never got bogged down, we never tire-tired. 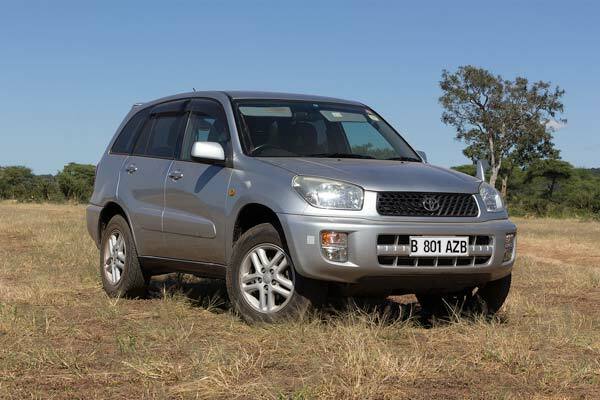 The Toyota Prado V6 is perfect! 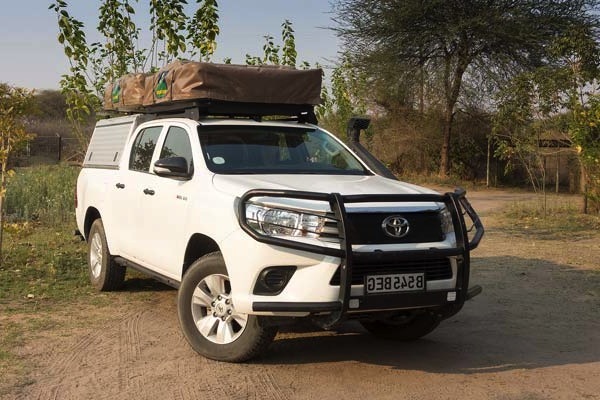 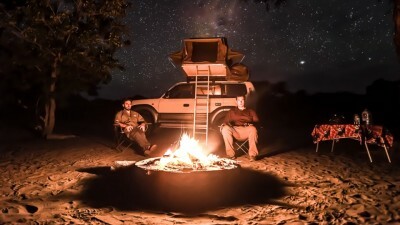 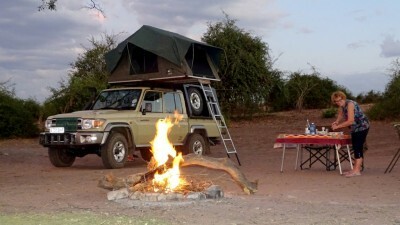 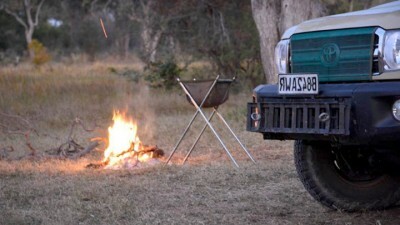 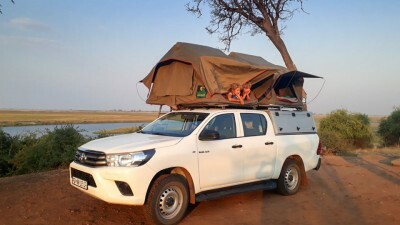 Moreover, the equipment was totally adapted to a camping trip in Botswana. 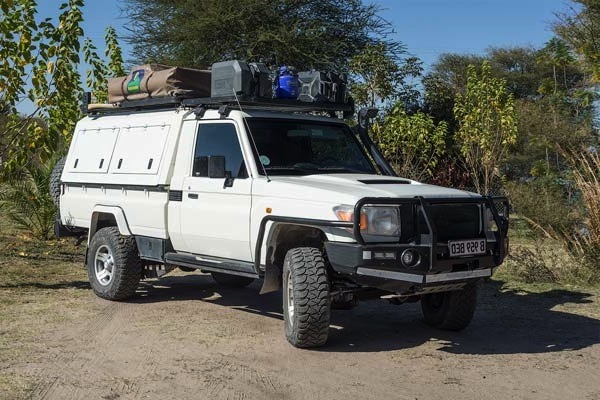 During the trip, Vincent was very responsive to our needs and we felt totally confident with the satellite phone and the medical assistance provided with with the rental. 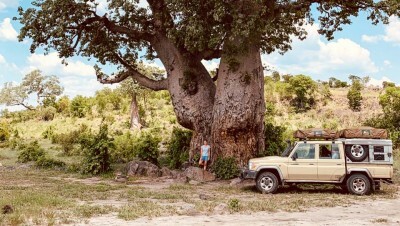 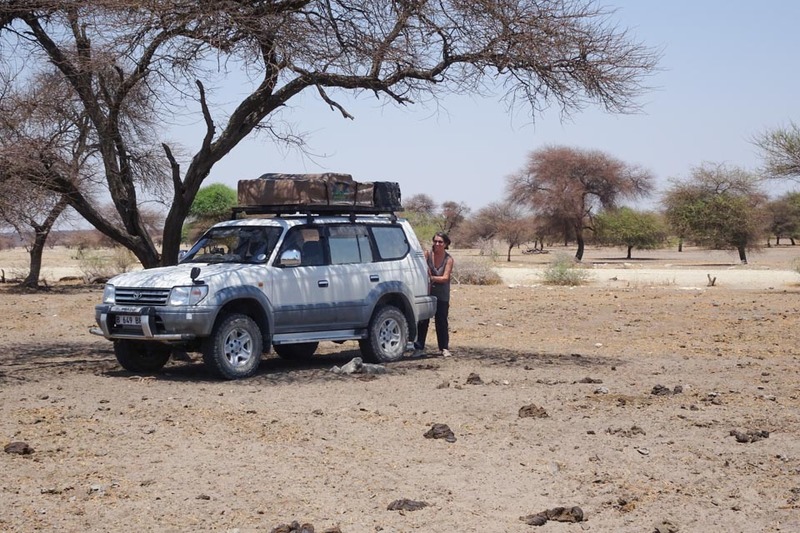 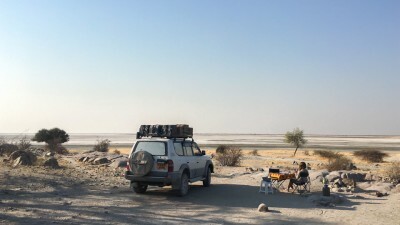 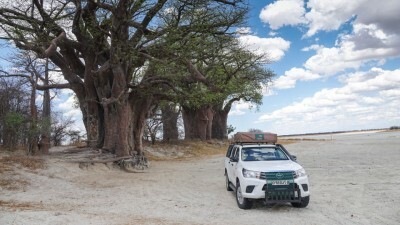 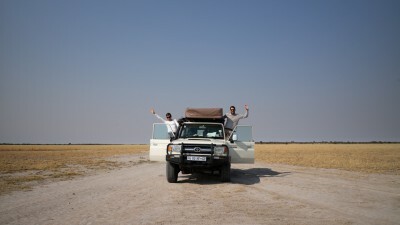 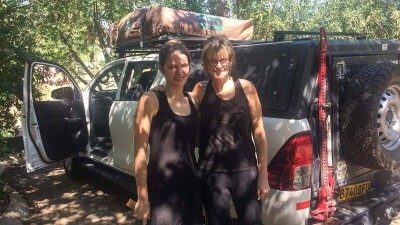 We really enjoyed to drive through the pans and our favorite camps are the very wild Kubu Island and Baines Baobab. 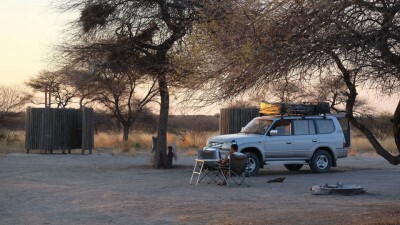 South Camp at Nxai Pan will remain one of our best memory with the visit of the elephants! 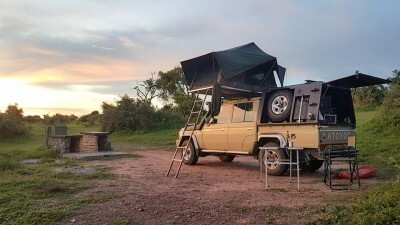 Along the panhandle, we loved staying at Guma Lagoon with its relaxing atmosphere, their tree rooms and their delicious meal.